During pregnancy staying hydrated is a top priority. But drinking water all day can get really boring. This list will share some ideas for healthy pregnancy drinks. When you are pregnant, your fluid requirements go up. During pregnancy you should drink about 80 oz (or 10 cups) of liquid per day. While the majority of this should be water, it can also include other beverages. The key is to make sure that what you do drink is actually good for you and your baby. So what to drink during pregnancy besides water? There are lots of lists out there of the best drinks during pregnancy with pretty generic recommendations. As a health savvy Mama, we know you want the best for your baby and yourself. So we made sure that the pregnancy drinks in this list all contain nutrients you need to grow a healthy baby, good for you ingredients and are low in sugar to help prevent blood sugar spikes. Read on for some non-boring ways to stay hydrated (and boost nutrients) during pregnancy! These are some of the best drinks for pregnancy! Also known as switchel, these drinks contain a mixture of water, lemon or lime, fresh ginger, apple cider vinegar and a little sweetener like honey, maple syrup or black strap molasses. Fruit can be added for an additional twist. 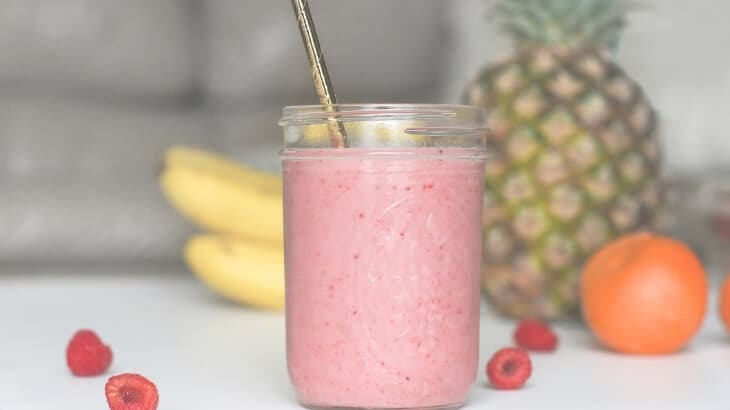 This drink is refreshing and can help restore electrolytes making it a great option for what to drink in the first trimester to stay hydrated through morning sickness. It can also help with pregnancy indigestion, inflammation and balancing blood sugar. Read more about the benefits of drinking switchel here. 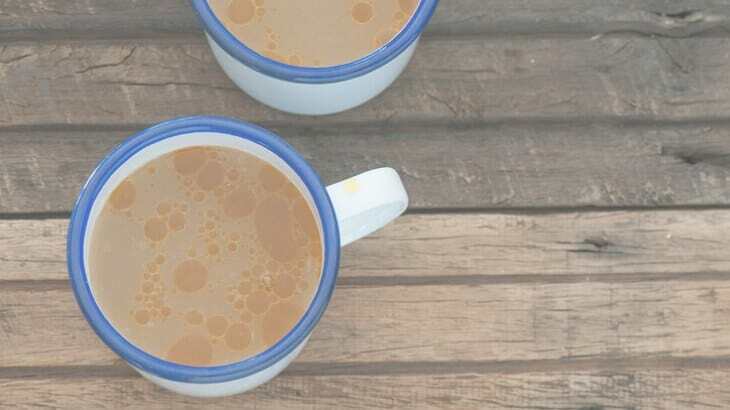 This homemade drink is a great substitute for sugary sports drinks. The chia naturally sinks to the bottom, so stir as needed when drinking. The liquid for Chia Fresca can be any combination you choose! Try making it with water, lemon or lime juice, herbal tea, fruit juice or coconut water. The flavor combinations are really endless. Smoothies are another great pregnancy drink, especially in the first trimester when it can be hard to keep foods down. Just be mindful that smoothies can contain a lot of sugar from fruit which can cause blood sugar spikes. So choose fruits with low sugar content like raspberries, strawberries, blackberries, cherries, peaches, avocado and kiwi. Also make sure to add protein and healthy fats to your smoothies so that it balances the sugar and reduces blood sugar spikes. Good options for protein include a handful of nuts like almonds or walnuts, nut butter, chia seeds, hemp seeds, cottage cheese, greek yogurt or tahini. 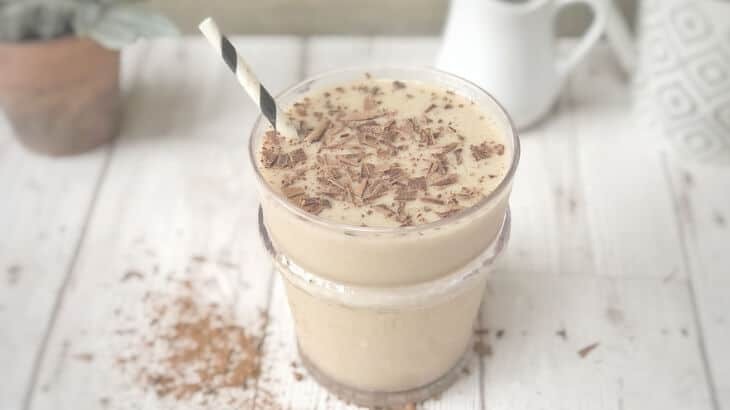 If you prefer a powder, try an plant based one like this protein powder from Vega which contains a variety of good for you ingredients, as well as, probiotics. For healthy fats try adding avocado, flax seed oil, coconut oil or a handful of cashews. Drinking fresh green juice is an excellent way to boost nutrients during pregnancy. It is perhaps the best juice to drink when pregnant. Green juice is alkalizing meaning it can help reduce acidity in your body. It can also aid in gut health, boosting your immune system and detoxification (source). It also promotes natural energy, something all Mamas can use more of! 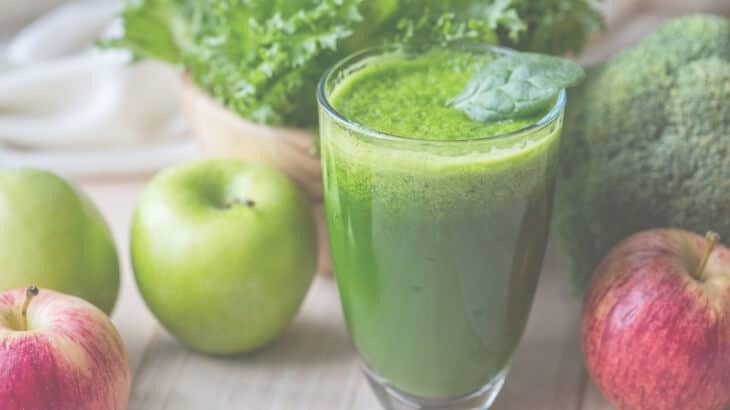 Making your own green juice is ideal, but if your don’t have a juicer try finding a local vendor, or opt for a green powder like this one on Amazon that you simply mix with water and still get the benefits. 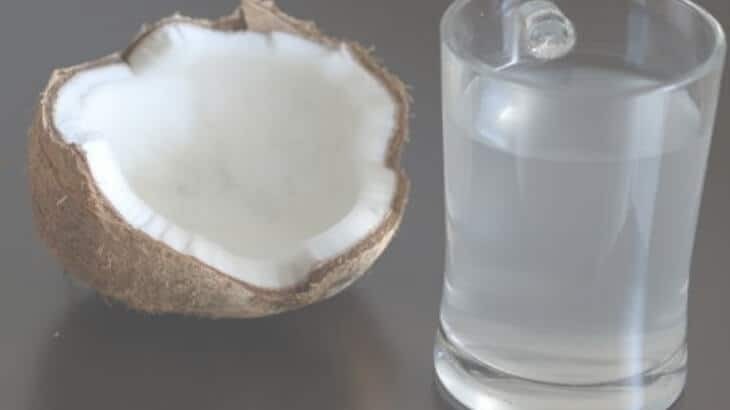 If the flavor of plain coconut water does not appeal to you, try a flavored variety or add to a smoothie to get the benefits. This raspberry watermelon coconut water is super yummy and refreshing. Adding fruit to your water is another good way to encourage yourself to drink water. 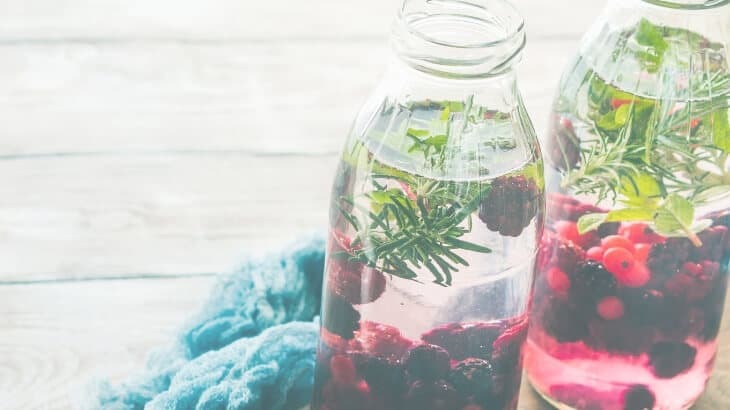 You can add fresh or frozen berries, melon, citrus, apples, pears or tropical fruit to fresh water and then let it sit in the fridge for a few hours to infuse the flavors. Make it more fun by adding a variety of ingredients such as fresh herbs, spices (think cinnamon sticks, fresh ginger or cloves), edible flowers or even vegetables like cucumber or celery. A fruit infuser water bottle like this one makes it easier to make your own healthy fruit infused waters and take them on the go. Looking for something warm to drink while pregnant? Try herbal tea! There are many herbal teas that are safe to drink during pregnancy and contain beneficial nutrients for you and baby. 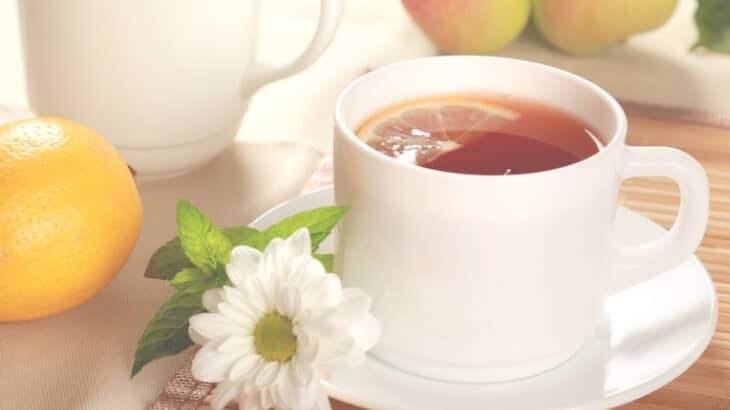 Read 5 Herbal Teas You Should Be Drinking During Pregnancy for more on the best teas to drink. Making your own homemade iced tea is a good way to stay hydrated in the warmer months. Store bought iced teas usually contain high amounts of sugar and artificial ingredients so it’s a good idea to make your own. Try this homemade pregnancy iced tea featuring red raspberry leaf tea. Need more bubbles in your life? 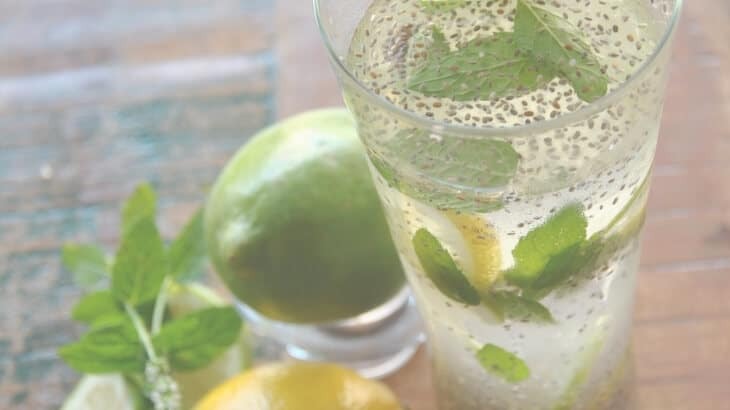 Sparkling water like La Croix, Perrier and San Pellegrino are great drinks for pregnant women. They contain no sugar or artificial ingredients like soft drinks and come in different flavors. Sign up for Prime Pantry today to get your sparkling water at a discount and shipped straight to your door without having to lug around all those boxes. Many Moms have trouble digesting cow’s milk. There are many alternatives to cow’s milk that offer a wide range of health benefits for Mom and baby. Just make sure to look for varieties that have basic ingredients and contain no added sugar. 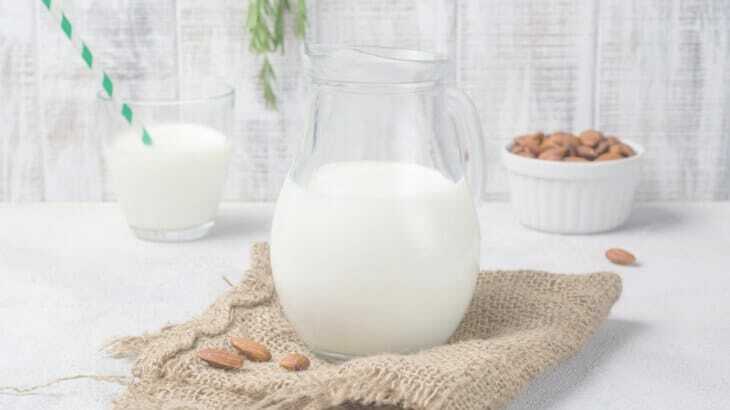 The cool thing is many of these non-dairy milks also come in shelf stable packaging making them ideal foods to stock up on during pregnancy for the postpartum period. Looking to add more probiotics to your diet during pregnancy? Drinking kombucha is an easy way to add more beneficial bacteria to your diet. Kombucha is a fermented tea that has been around for thousands of years and can help boost your immune system and gut health (source). Kombucha is high in b vitamins which can help ease morning sickness symptoms for some Moms. The fizziness of Kombucha makes it a nice substitute for soft drinks. 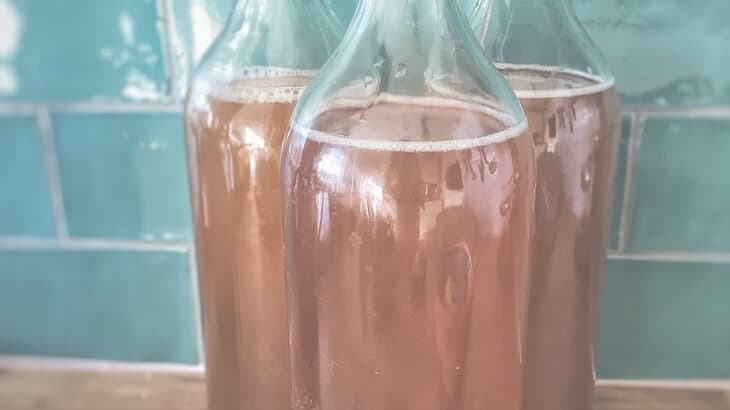 You can make your own Kombucha at home or buy it in several different flavors at your local grocery store or Whole Foods. Worried you have to give up Starbucks during pregnancy? While coffee isn’t necessarily off limits during pregnancy as long as you stick to under 200 mg of caffeine a day, avoiding caffeine can be healthier for you and your baby. 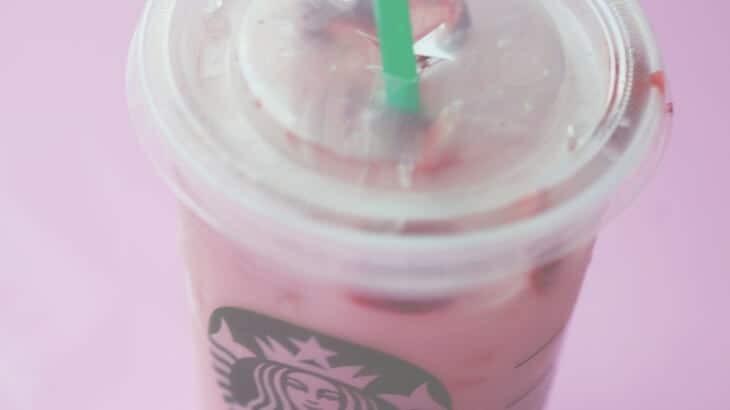 The Strawberry Acai Refresher aka “Pink Drink” is a good drink for pregnant women trying to avoid caffeine, but still wanting to hit up Starbucks. It contain coconut milk, an acai mix and is topped with freeze dried strawberries. But be careful, it does have a 24 g of sugar, so eat some protein along with it to avoid a blood sugar spike. Other low caffeine and pretty healthy options at Starbucks include – Unsweetened Iced Green Tea Lemonade, Unsweetened Passion Tango Tea with Coconut Milk, and Iced Black Tea Lemonade. Adding additional protein to your diet during pregnancy is essential for growing a healthy baby. In Real Food for Pregnancy (read full review here), Lily Nichols recommends a daily protein intake of 80 g in the 1st half of pregnancy and 100 g in the 2nd half. Drinking protein shakes is a good way to get more protein without having to eat a ton more food. During pregnancy use protein shakes as additional nourishment, rather than a meal replacement. Protein shakes can come ready made or in powder form that you mix with water, milk or smoothie ingredients. Most protein powders contain around 20 g of protein. When purchasing, read the labels and watch out for powders that contain artificial sweeteners, ingredients and fillers. Good options include either a 100% whey protein powder or a plant based protein powder to help meet you daily protein requirements. The best way to get kefir is to make your own. It is one of the simplest ferments to make as you simply combine a pack of starter grains with milk (or water) and wait 24 hrs. 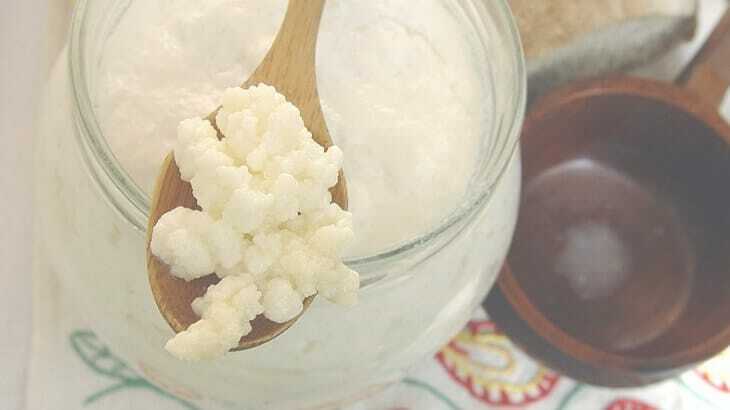 Homemade kefir will be higher in probiotic content than store bought varieties. However there are many brands and flavors of kefir available in grocery stores. Just make sure to choose a variety that is low in sugar and has basic ingredients. Yes! Drinking bone broth is an excellent way to get extra nutrients and fluids during pregnancy. It can be particularly helpful to drink in the first trimester to help with dehydration, easing nausea and boosting nutrition. You can make you own bone broth with leftover chicken or beef bones. See the slow cooker recipe below. 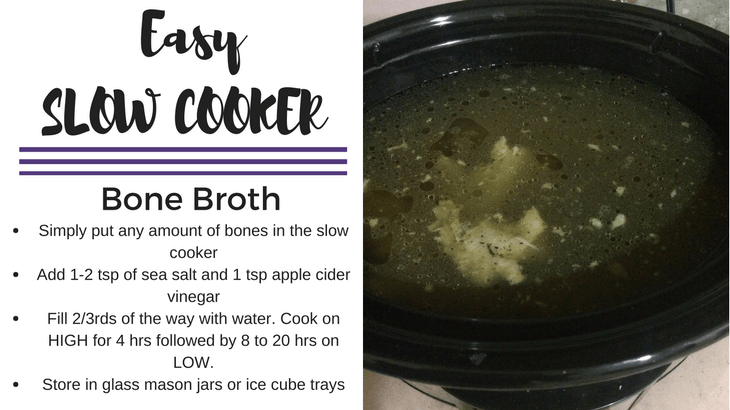 Or if you prefer, buy a quality bone broth like this one on Amazon. To drink – simply heat a mug full of broth and add a dash of sea salt. There are a few types of drinks that you should consider avoiding during pregnancy. 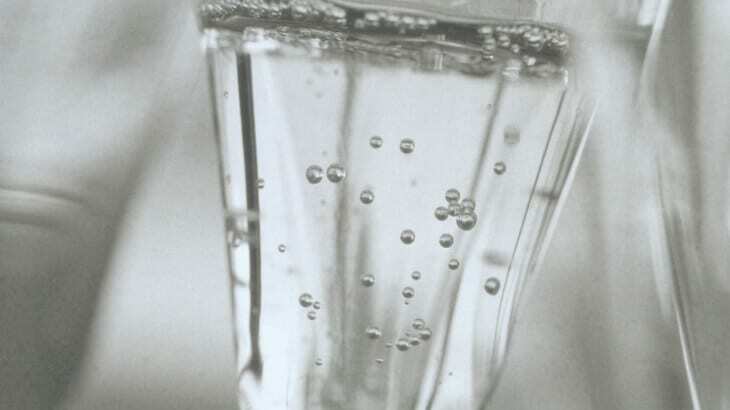 For more information on drinks to avoid, you should consult you care provider. Alcohol – While in some cultures it is still considered acceptable to have a glass of wine during pregnancy, it is generally accepted that heavy drinking can be harmful to your developing baby. 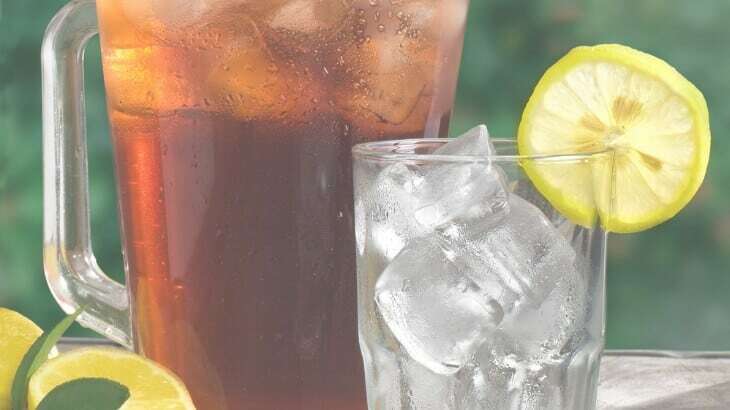 Soft Drinks – Drinks like Sprite, Coke and Fanta are best to avoid during pregnancy mostly because of the high sugar content derived from high fructose corn syrup or artificial sweeteners. Energy Drinks – Many energy drinks contain high levels of caffeine and ginseng which can pose risks for your developing baby. Sports Drinks – While marketed as ideal for re-hydration, drinks like Gatorade and Powerade are full of sugar and artificial ingredients. With so many healthy options listed here it should be easy to find a drink that you can enjoy and that is good for you and baby! Trying to figure out what to eat for dinner? This list of healthy pregnancy dinner recipes all contain pregnancy superfoods and are pretty easy to make. Finding snacks that are actually good for you can be a challenge during pregnancy. This post has over 50 healthy snack ideas that are low sugar, high protein and nutrient dense. 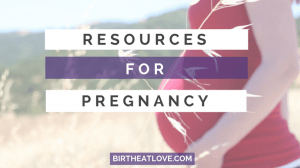 Check out this page for all our best healthy pregnancy resources.